Been a great year for coin hunting. Although the year isn't over yet, I did a cleanup and did cash in my one and two dollar coins for a total of $183.00 worth of $$$. I still have my other clad to roll and deposit. Well, the annual coin show came to Edmonton today, so my buddy and I got there early, to get the best deals. There were lots of choices. I again, purchased another gold. Been buying at least one gold coin a year for over 20 years with my clad. 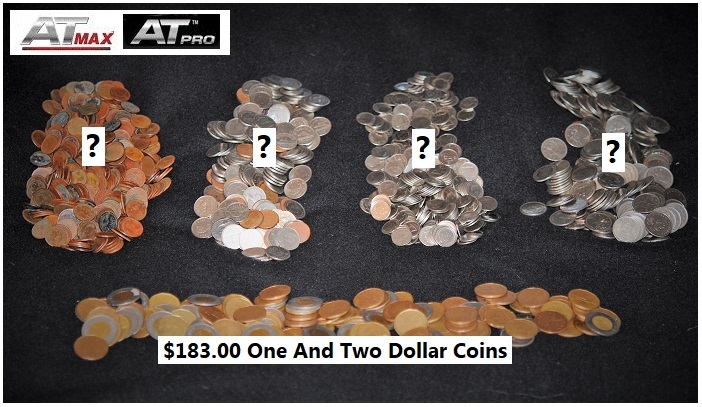 Here's the coins we purchased. I bought the silver Austrian hammered coin and the 1915 one Ducat gold coin from Austria. My buddy bought the 1892 4 Florin Austrian coin. Gold coins have really increased their value. The gold coin I bought from Iran for about $150.00 last year is now well over $200.00. Pretty darn good investment! 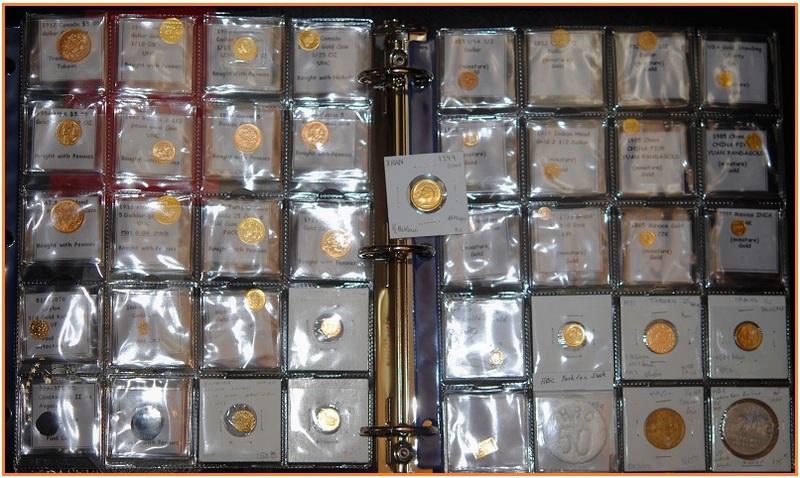 Here's a pic of my 41 gold collection so far.....going back to the bank vault on Monday! Re: Garrett Guys Got Gold Coins And Hammered Silver! I now wish I had started a collection like you have. Instead I just bought another detector. The gold has increased, the detectors have decreased in value. BUT they have helped me enjoy the hobby in bigger and better ways than my original Whites from 1982. I guess I could say my collection of Thank You Notes for finding and returning items can be claimed as my Treasure Trove. May the ring of gold be in your ears and its glitter in your scoop. Or in your case your coin album. Real nice book of Gold you have there. There is great satisfaction in returning lost items! I have had a few beach babes make me blush with a thank-you kiss in front of my wify!